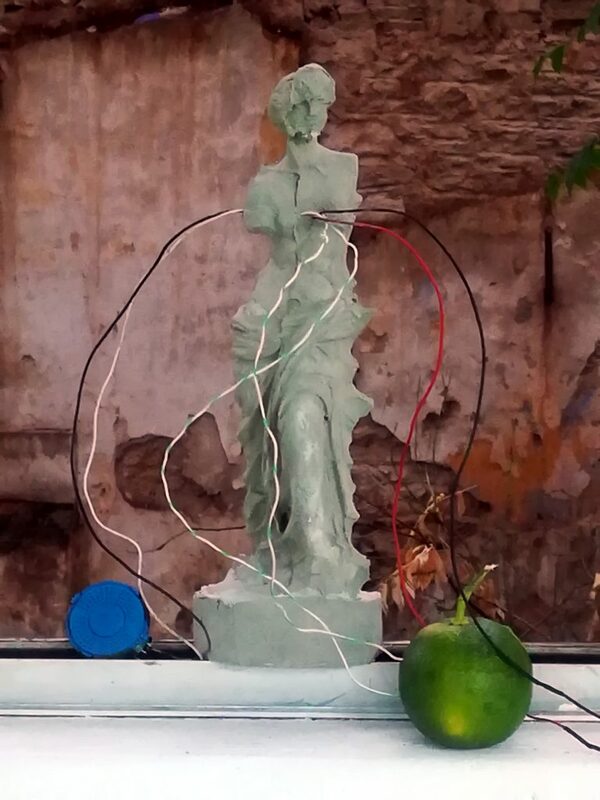 A work about appropriation of artefacts and their social roles. 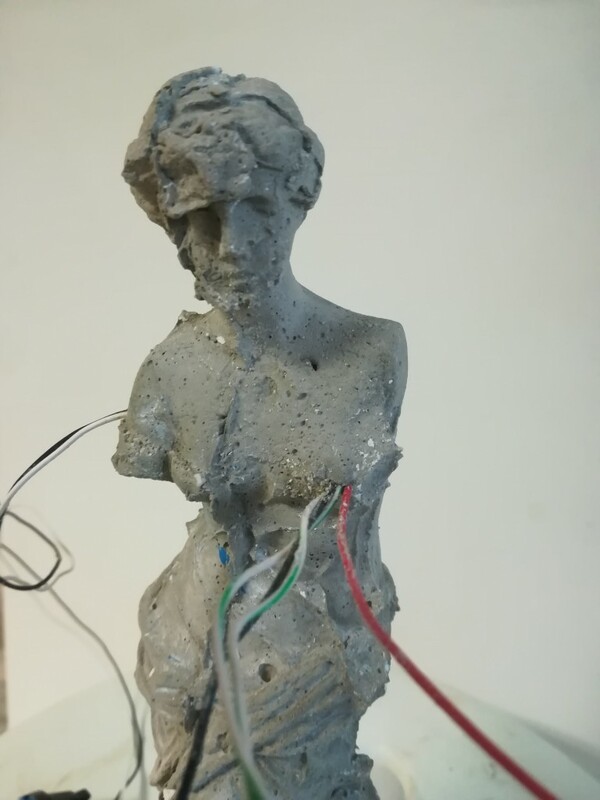 I bought an aphrodite sculpture at a tourist shop and used it as a model for a concrete cast. Before the cast I have put custom electronics in the mold to make the later concrete sculpture sound. 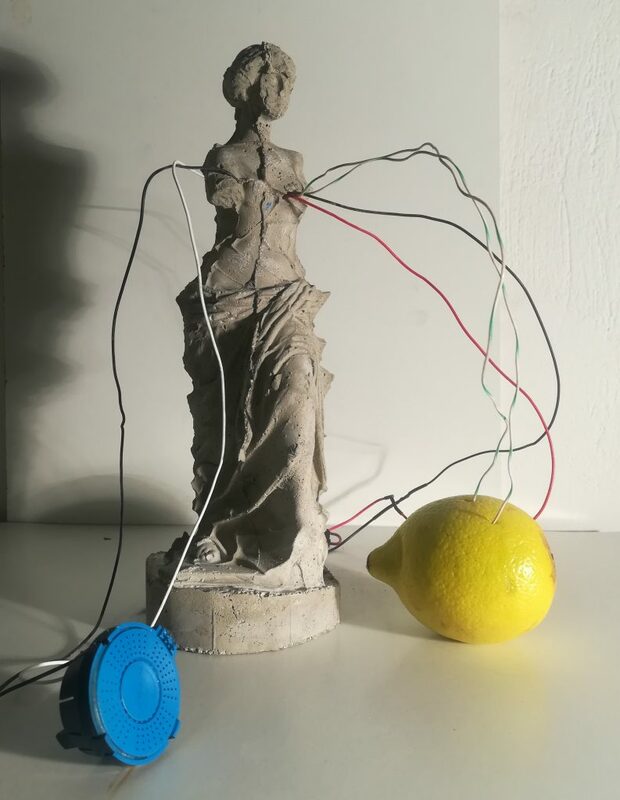 To activate the sculpture you have to connect two wires to a fruit and the battery clip to a standard 9v battery.